Fine china sauce dish made in Poland by Wawel. Use this small dish for your berries, sides or soft desserts. Can also be used for serving clotted cream or lemon curd on your tea table. This 5.5 -in. 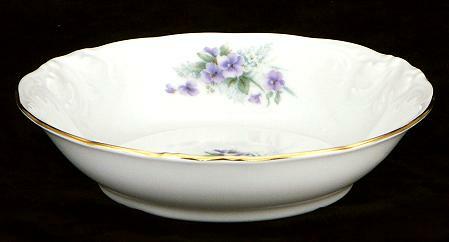 diameter sauce dish features the Violet pattern. Hand-painted with gold trim.